Jeff Deck wanted to make a difference. When the 2002 graduate of Dartmouth College attended his five-year reunion, he mingled with classmates who were becoming doctors and lawyers and other people of influence. The experience inspired Deck to find a way he could have an impact on the world. "I tried to think of what I was good at," he says. "Fixing typos was what I came up with." 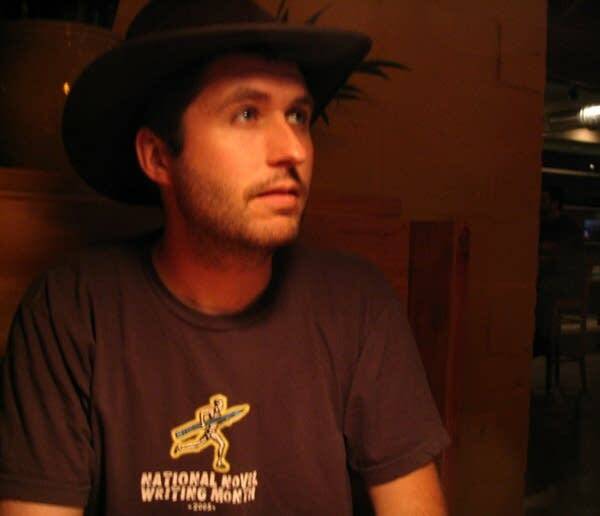 Given his background as an editor for an academic publisher, Deck founded the Typo Eradication Advancement League (TEAL). In the company of like-minded friends, Deck set out on a circular journey of the United States to find typos and make the appropriate corrections. As they travel the country, the members of TEAL watch for street signs, storefronts, sides of buildings or billboards that might contain errors. "Any signs that are out in public are fair game," Deck says. They've already covered a lot of ground. Beginning in Boston, Deck and company have traveled down the East Coast to Georgia. From there, they proceeded across the expanse of the continent to San Diego before making their way up the West Coast. When we spoke to Deck, he was on a two-day stop in San Francisco. Deck says that the majority of errors he's found so far involve the apostrophe, whether inappropriately inserted in a plural noun or completely missing from a contraction. 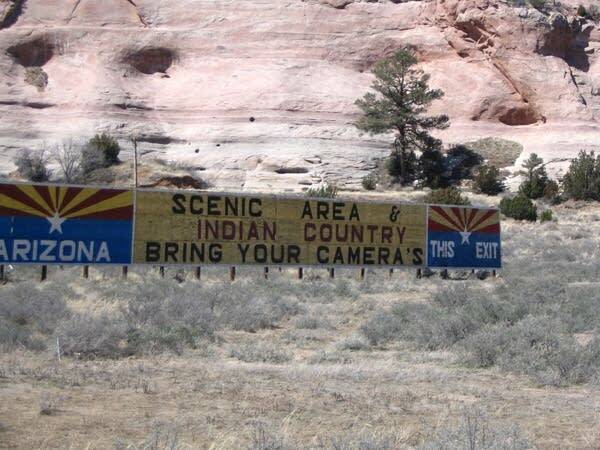 On the Arizona-New Mexico border, Deck spotted a massive example of apostrophe misuse. 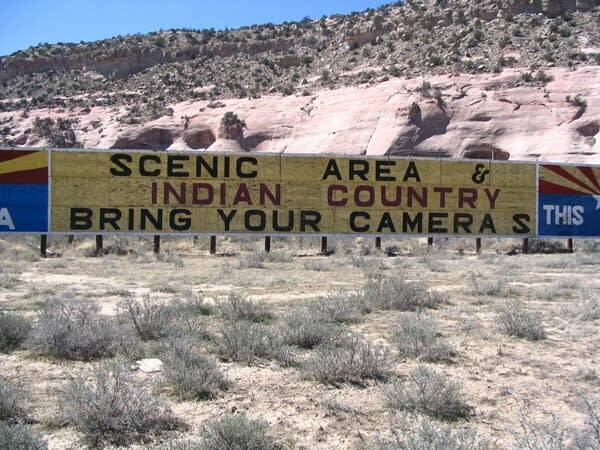 A billboard advertising a roadside tourist attraction encouraged travelers to bring their camera's [sic]. Given TEAL's mission, Deck had no choice but to make the correction. "This was a huge sign -- the apostrophe was about the size of our heads," he says. "So we pulled off the highway, scaled a barbed-wire fence, dodged some cacti and corrected it." When making corrections, the members of TEAL try to keep with the aesthetic of the existing signage. In the case of the giant billboard, Deck used yellow chalk to cover up the offending apostrophe. He fully understands the ephemeral nature of such an edit. "The next time it rains, it'll be gone," he says. "But hopefully people will get the message in the meantime." Most of the people they encounter along the way are polite about TEAL's input, even if they don't completely approve of the group's actions. There was, however, a man in Los Angeles who called Deck a name he was reluctant to share in our interview. Refreshingly, Deck has also met people who are appreciative of being informed about an error they didn't know existed. Time spent on the road looking for typos has given Deck a chance to reflect on the causes of mistakes in signage. He suggests one cause may be simple carelessness, but he also thinks there may be larger cultural forces at work. "It might speak to an acceleration of pace in our society today," he says, "where everyone feels they must get everything done as soon as possible." If anything, Deck hopes that people will read about TEAL's adventures and take a little extra time to make sure everything is correct before posting a public sign. Deck's travels will eventually take him through Minnesota, and we certainly hope to visit with him again at that time so he can give us an update on his continuing mission. Until then, you can stay apprised of TEAL's latest endeavors by visiting Jeff Deck's Web site.